got this one at just the right time as he released the dart. .......the force is strong in this one! Great shot John. You can tell this was taken in a British pub. 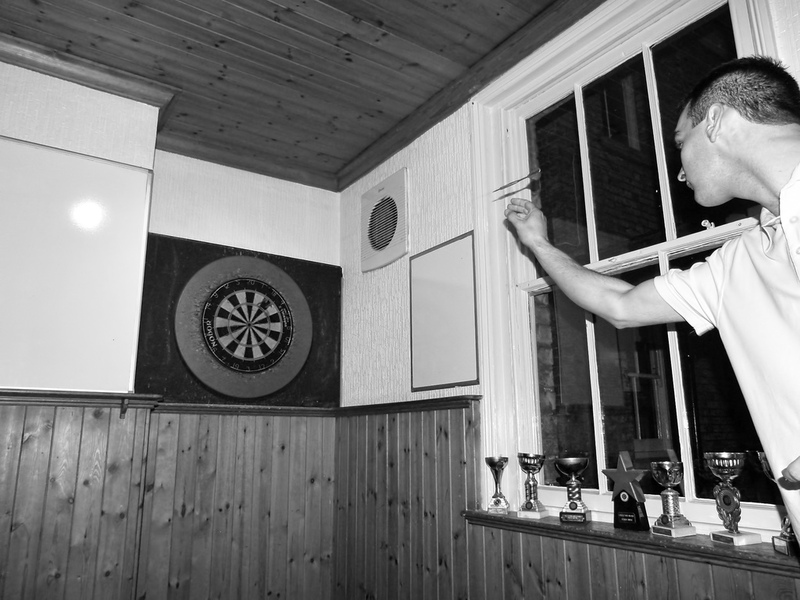 Scoreboards and trophies surrounding the dart board, there's some serious darts being played here! Love it. Great shot. Wish you had cropped the dart in flight and left us fumbling! Great DIF (Dart in Flight) shot John.